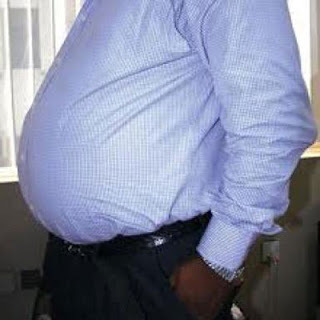 A new health research sparking controversy on various platforms is that of American Academy of Neurology that claims that men with Potbellies have smaller brains. It states further that as the belly increases in fat the corresponding reaction is a decrease in the brain volume of the victim cautioning against increasing potbellies in the system. In some part of the world, potbellies are signs of wealth though health expert attribute it to lack of exercise and bad eating happen which makes owners susceptible to some conditions like High Blood Pressure and others which is injuries to their health. To compound what is widely known, we sighted a report on lifestyle.thecable.ng arguing that measuring the body mass index (BMI) and the waist-to-hip ratios of its participants, the research found that those with higher ratios of both criteria had the lowest brain volume. About 1000 participants with higher BMI and waist-to-hip ratio were marked with the lowest amount of grey matter in their brains. Gray matter is component of the central nervous system that is responsible for processing information and controls emotion, memory, and intellect, all of which tell on the growth and development of the brain.